Before the House of Commons, Prime Minister John A. Macdonald makes the most ambitious of proposals, as heard in this CBC Radio re-enactment from 1978. A transcontinental railway, spanning the country from sea to sea, will unite the country and curb American encroachment, he pleads passionately. The project has a tight deadline and a $30 million budget but Macdonald is uncompromising in his vision. "Until this great work is complete, our dominion is little more than a geographical expression," he says definitively. • When the Maritime provinces agreed to join the Dominion of Canada, Macdonald was obliged to build a railway linking the eastern provinces to Ontario and Quebec. In 1867, Macdonald's government coordinated the construction of the Intercolonial Railway. Celebrated civil engineer Sandford Fleming helmed the project as the engineer in chief. In 1876, the Intercolonial Railway lines officially opened for business, from Truro, N.S. to Ste. Flavie, Que. • When Manitoba and British Columbia joined Confederation, in 1870 and 1871 respectively, they too were promised a railway linking them to central and eastern Canada. Macdonald specified a ten-year deadline for the completion of the Canadian Pacific Railway. • On June 1, 1875, builders broke ground near Fort William, Ont. Ten years later, on Nov. 7, 1885, the last spike was driven into the ground in Craigellachie, B.C. and the young country of Canada was linked together from sea to sea. • Between 1880 and 1885, more than 15,000 Chinese migrant workers were hired to help build the Canadian Pacific Railway. They were only paid about half of what other workers were paid for the same jobs. Chinese workers were often called on to do the more dangerous jobs; working with explosives, for instance, and carrying massive rocks. Hundreds died in the process. • While the Canadian railway would later be seen as one of Macdonald's greatest legacies, it almost proved to be his ruin at the time of its construction. During the 1872 election, Macdonald and his Quebec lieutenant George-Étienne Cartier solicited $350,000 worth of donations from wealthy businessmen who were all vying for the lucrative railway contracts. When the scandal broke, party in-fighting began and Macdonald was forced to resign in 1873. • Liberal leader Alexander Mackenzie was elected the new prime minister as Macdonald reportedly sunk into a deep depression and alcoholism. But, in 1878, Macdonald staged a clever comeback, campaigning on a platform of economic renewal called the National Policy. Specifically, Macdonald argued that if Canada placed a tariff on U.S. imports, Canadian businesses would prosper. Voters agreed and re-elected Macdonald to a majority government. Macdonald claimed 139 seats to Mackenzie's 66. • "As Canada's first prime minister, he was responsible for securing the West in the face of a very real American threat. He saw the Canadian Pacific Railway through to its completion, against considerable opposition, and thus he created of Canada something more than a mere geographic expression." - John Turner, the Globe and Mail, "Time to Honour a National Hero," Jan. 12, 2002. • The construction of the railway has been immortalized in Canadian popular culture through a number of books and songs. These include Pierre Berton's books The National Dream (1970) and The Last Spike (1972), the former of which also became a CBC Television miniseries in 1974. Also, Gordon Lightfoot's well-known song Canadian Railroad Trilogy paid homage to our national railway. Author Richard Gwyn joins Michael Enright to talk about volume two of his biography of Sir John A. Macdonald. Michael Enright talks to author Richard Gwyn about his biography, Sir John A, The Man Who Made Us. Brian Porter dresses up like John A. to educate people on the first prime minister's legacy. Sir John A. Macdonald doll is a surprise hit for Christmas. An astrological look at the significance of prime ministers Jean C. and Sir John A. sharing the same birthday. In the Dominion of Canada's first election in 1867, Macdonald wins hands down. Front Page Challenge discusses Macdonald's legendary drinking habits. 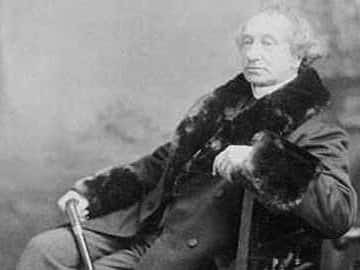 Sir John A. Macdonald's only living relative journeys to his great-grandfather's birthplace in 1967. Lester B. Pearson praises Macdonald's seminal contribution to Canadian history - Confederation. Paying respect at the simple burial site of Canada's first prime minister.